The 2006 Hummer H1 is a 4-door, 4-seat Sport Utility, available in 2 trims, ranging from the Open Top to the Enclosed. Upon introduction, the $125,160 Open Top is equipped with a standard 6.6L, 8-cylinder, an Automatic transmission is standard. The $136,483 Enclosed is equipped with a standard 6.6L, 8-cylinder, an Automatic transmission is standard. Hummer was a brand of military-based and military-inspired trucks and sport utility vehicles. The Hummer brand was founded in 1992 under the AM General vehicle group (not to be confused with the original Humvee truck, which AM General was building for military contracts for ten years before that). Although some consumers were confused about the difference between the Humvee and the Hummer, Hummer pictures from this era will show a version of the Humvee military truck that’s been cleaned up a bit to be marketed to the general population. The Hummer stayed much the same throughout its entire run. Autobytel’s got plenty of other Hummer photos in the gallery, too. When General Motors purchased the Hummer brand name in 1998, they began developing other vehicles to join the original Hummer on dealer lots. 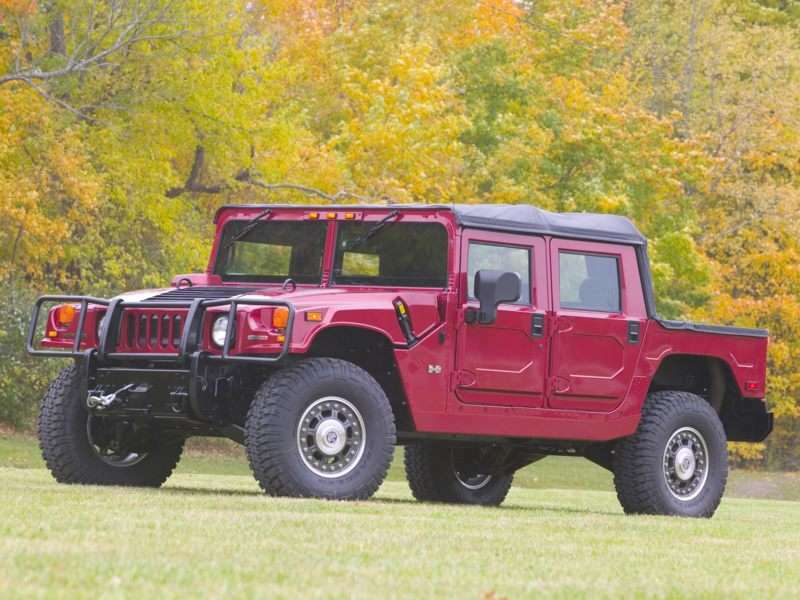 The original, by now known as the Hummer H1, was joined by the H2 and the H3. As the collection of Hummer images shows, the H2 and H3 adopted some of the military-inspired styling of the original, but were clearly toned down to appeal to a broader range of customers. Hummer pictures illustrate the difference between the three Hummer models: each variation gets a little taller and a little friendlier-looking. General Motors’ luck with Hummer would soon run out, though. Demand for the gas guzzling trucks soon cooled, and by 2008, the brand’s future was questioned. Hummer shut down in spring of 2010 as part of General Motors’ overall restructuring, but pictures of Hummer’s glory days live on.